The first phase of reconstruction of Palmon Bay hotel&spa in Igalo cost EUR 10 million, while additional EUR 2 million are planned to be invested in the following period in the reconstruction of an annex featuring 40 rooms and suites and the regeneration of beach in front of the hotel, said Jelena Djuraskovic, the general manager of this hotel. She said that the modernization and reconstruction of the old hotel Centar had entailed capital changes to both its interior and exterior, resulting in Palmon Bay obtaining four stars, 163 modernly furnished rooms, wellness and spa center, indoor and outdoor swimming pools, congress center and a rooftop restaurant already after the first phase of reconstruction. 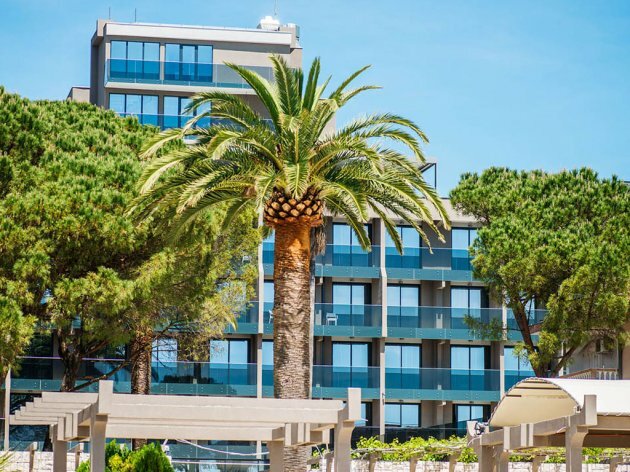 - In line with the company's vision and idea to work on the improvement of Montenegro's living standard and economy, the hotel employs 80 workers, mainly local people. It is also a chance to resume training and specialization courses - said Ms. Djuraskovic. Palmon Bay hotel&spa in Igalo is the winner of the 2015 Wild Beauty award for the best hotel.